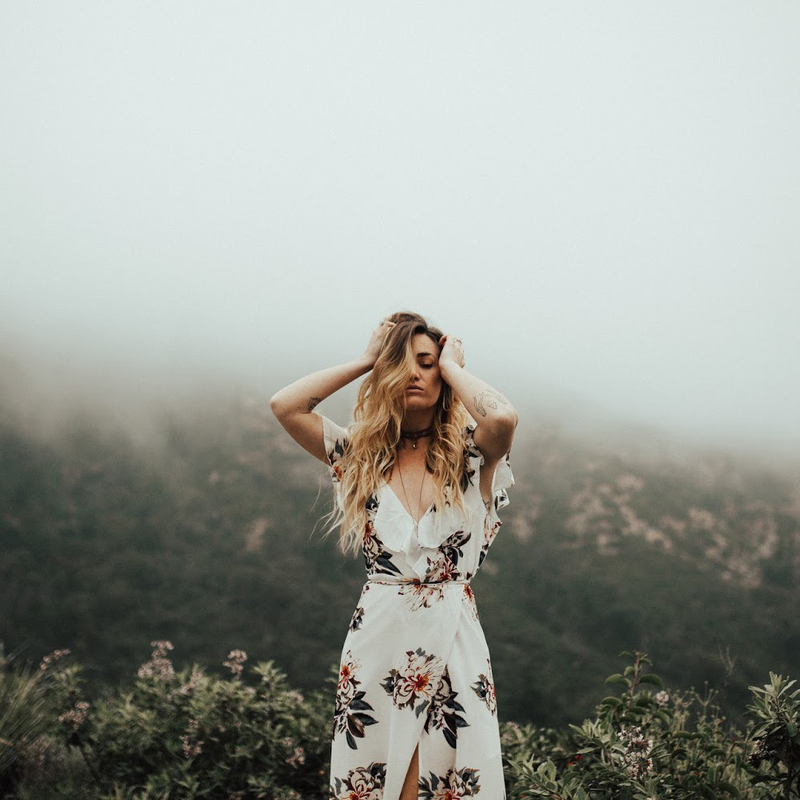 You're the winner of the Curious Prints Giveaway! Sending an email your way! Hello! I'm Kate, a graphic designer by trade living in Baton Rouge, LA, with my equally artistic husband and mutt puppy. We enjoy the pursuit of unique vintage images and other interesting finds for our home. These handmade wall hangings are inspired by my love of vintage nature inspired pull down charts. I love the simple, natural, and rustic appeal they have, and also, who doesn't love a piece of art that is ready to hang with no framing! Each piece is uniquely made in our home from the printing, to wood staining, and assembly. Kate's work is equally unique and beautiful and made with the best quality materials. And today, one lucky person will win a pull down chart of their choice! Visit Curious Prints, and tell us in a comment which print you would choose along with your email address if you're the winner. "Like" the Curious Print Facebook page, and let us know you've done so in a comment. This giveaway will be open until 12:00 pm on Wednesday, July 31, and the winner will be announced and contacted directly afterwards. Good luck! Also, Kate is offering 15% off your entire order with the code KINSEY15 until August 10th, 2013. I so love the Vintage Botanical Poppy Flower Pull Down! I love the butterfly print! I was immediately drawn to the the Almond Tree pull down chart,so pretty, so I'd pick that one. I adore the star chart one! I liked the Botanical Poppy Pull Down Chart. I also Liked their Facebook Page. I adore everything on their Etsy - BUT I particularly like the Almond Tree Botanical print. I would love any of the anatomy prints! Especially the brain! I really had a hard time choosing a favorite between the skeleton, brain and birds eggs but ultimately my fav is the Heart. (CP708CV) beautiful prints, and now a new favorite Etsy shop! Thanks and I liked your page on facebook. Great stuff! I love the vintage science plate extra large butterflies and insects poster! I love the insect science plate poster! So cool. This is a great giveaway. Thank you!! These prints are fantastic! 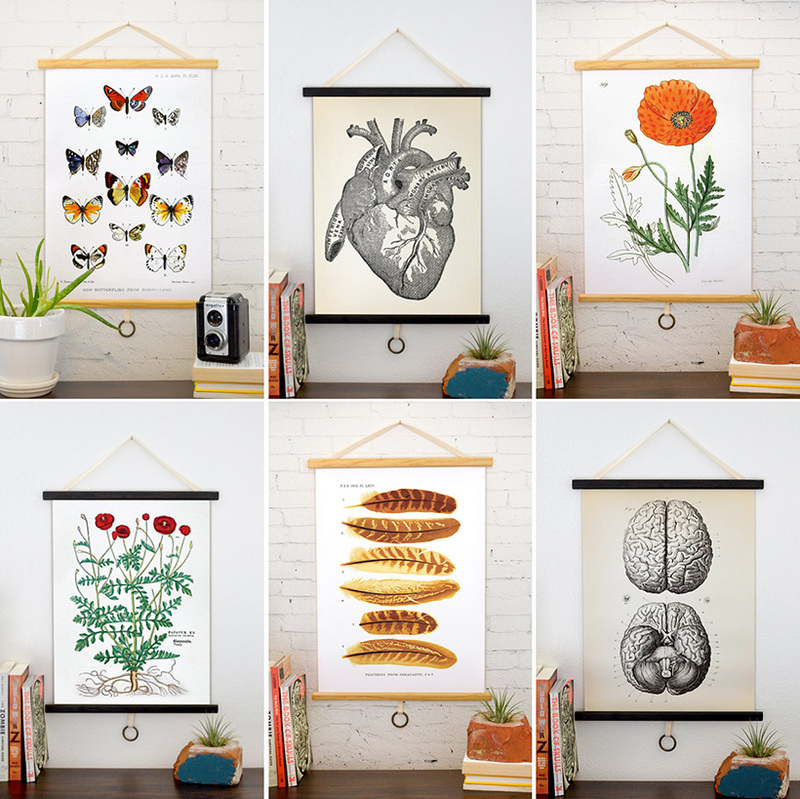 I love the human anatomy prints as well as the botanical prints, it's so hard to choose! And I've liked them on facebook! I'm in love with the Pheasant Feather Pull Down! I went and liked their page, also. Love the Vintage Botanical Gutta-Percha Tree Pull Down Chart! So beautiful, thank you for this wonderful giveaway. http://www.etsy.com/ca/listing/157645733/pheasant-feather-pull-down-chart?ref=shop_home_active this one is just lovely! I love the vintage butterflies pull down! they are all awesome. i liked their facebook page too! oh I would love the Vintage Butterflies Canvas Pull Down Chart Reproduction. Vintage Science Plate Print. - CP706CV. I love the vintage butterfly pull down chart with side shots of the butterflies and a caterpillar and cocoon on it! These are so fantastic! I would choose Pheasant Feather Pull Down Chart Reproduction. I love the heart print, these are all so beautiful! also , liked them on FB! I love these! I would get the star chart CP700CV from their shop! How awesome, I have this shop favorited on Etsy already! I would definitely pick the Pheasant Feather Pull Down Chart, so cool! I liked CP on FB! These are so cool! I'd love to have either the poppy pull down or the heart! I love the Vintage Anatomy Heart pull down! They are all so beautiful! I also liked on Facebook as well. I really like the insects and fruit pull down poster. It's very pretty! Liked the facebook page. favorite is the dandelion pull down. such great illustrations! Ohmygosh. Love these. I cannot decide if I like the Coral Tiger Moth or Insects and Fruit pull down chart more. Love the poppy botanical pull down!! Love the peasant feather pull down. Thank you! i love the vintage anatomy pull down heart chart! just liked the facebook page! as a biologist, i love all of these! i'd probably get a feather diagram or a beetle plate one! also i have liked curious prints on facebook! Wow, amazing! My favourite is Vintage Science Animal Study. Deer Skeleton - 030. Also liked them on Facebook! I've also liked her on facebook as Victoria Whitten. I love the pheasant feather pull down ! These are so gorgeous. Lovely giveaway ... thank you!! I would choose that vintage french advertisement print! I would choose the vintage poppy print. brittanydimassi at gmail dot com. The Botanical Poppy Pull Down is my choice. The Icelandic Poppy is one of my favorite flowers--they sometimes call it champagne bubbles, which I think is the best name for a flower. Cheers & thanks! I can't decide between the brain and the heart! So lovely. Whoa. The pull down of insects and beetles is to die for!! I'm in love with the feather print!!! I'm friend to all winged things. Oh i ADORE! the feather print! rinnybird AT gmail DOT com. So many amazing prints, but I'm really digging the feathered one. Also "liked" Curious Prints on Facebook. I like the Coral Tiger Moth pull down chart! I have to have Coral Tiger Moth Pull Down Chart Reproduction!! It would look gorgeous in my bathroom! I liked the Facebook page! I would love the pheasant feather pull down chart! it's timeless and beautifully done! I liked the facebook page as well! I also "liked" Curious Prints on FB! Oh what a fantastic giveaway!! I would LOVE this pull down print!! I love the bird egg diagram. Too cute! I'm torn between the pheasant feathers and any of the vintage butterfly prints. I have a little collection of butterfly prints going, so I might like to add to that ;). I also liked them on Facebook using both my real name and the Facebook page for my blog (Triple Thread). Fingers crossed! loving the anatomy of the heart! any of the vintage anatomy would look amazing on my wall, but i think that is the one i like the best. thanks! Love the Coral Tiger Moth pull down chart! I also liked them on facebook! Hopelessly in love with the Botanical Poppy Pull Down Chart! I like them on Facebook as well! They are also special, but I would most definitely choose the pull down brain print. I absolutely love these! Especially the poppy one! I like the poppy print. I like Curious Prints on fb under my fan page, Botanical Curator. i loveeee "Coral Tiger Moth Pull Down Chart Reproduction. Vintage Science Plate Print - CP700CV"
i would be honored to be chosen. i "liked" yall on facebook. Man I am wild about the bird egg. They're all so nice- the second front runner is the dandelion and feathers. If I had to choose my favorite, it would be "Vintage Butterflies Canvas Pull Down Chart Reproduction. Vintage Science Plate Print. - CP706CV". I liked you guys on Facebook, too! I've been saving up for one of Kate's prints! I would be oh so happy to win one! My favorite is the vintage poppy pull down. I also liked Curious Prints on Facebook! I love the anatomical heart reproduction! So easy to choose, I would go for the "Vintage Anatomy Pull Down Chart Reproduction. Brains." because I'm currently getting my major in Neuroscience. And I liked the page on Facebook! Amazing work. OBSESSED with the Vintage Science Study Poster.Octopus, Die Cephalopoden and the Coral Tiger Moth Pull Down Chart Reproduction prints!!!! The Botanical Poppy Pull Down Chart is amazing. Im in nursing school and an anatomy buff, so I LOVE the anatomical heart!! I also 'liked' their fb page! I love the orange octopus. It would fit right in with my space! The animal scientist and equestrian in me loves the Horse Anatomy Pull Down Chart Reproduction. Vintage Science Animal Study Print but the nature and literature obsessed parts of my soul love the The Old Woman in the Wood Vintage Storybook Illustration . I don't know how to choose! Love this shop! I also "liked" the Curious Prints Facebook page! The Vintage Pull Down Anatomical Heart is insanely beautiful! The Botanical Poppy Pulldown is amazing! Love the Heart Pulldown...sooo good! Liked on facebook too. i love the pull down brain print. Completely inspiring. Liked the Facebook page as well! These are all gorgeous. I think I would go with the coral tiger moth! I love all of these! I love the human skull print though! I love the almond tree but that was a tough choice! The vintage french advertisement (absinthe robette) is gorgeous! I would love to win it! And I've also liked the page. So happy to have been introduced to this shop! This one is fantastic, but I would love any of them! Gorgeous stuff!!! Love the Botanical Poppy Pull Down Chart! I love the Vintage Leaning Skeleton print. It's so dramatic and somehow a bit humorous. They are all so beautiful, I especially love the Coral Tiger Moth pulldown. I've also liked the page on Facebook. i absolutely love the feather print!!! perfect for mine & my roommate's new apartment! // liked on FB!!! oh my goodness! I love all of them and there are so many to choose from! I think I love the ones with feathers most! I hope one can enter even though I live in Sweden (with shipping and such). There were a lot of amazing posters, but I'd want the Vintage Science Plate Print - CP700CV (http://www.etsy.com/listing/157387650/coral-tiger-moth-pull-down-chart?ref=shop_home_active) if I won. Also liked her page on FB, as Rania Rönntoft. loving the anatomical prints -especially the heart! Liked on FB as well! My favourite is definitely the Feather Pull Down Chart. I am obsessed with school charts at the moment and these are just perfection! My favorite is the Botanical Poppy Pull Down Chart. I love it as a unique way to brighten up the wall! I love the Botanical Poppy Pull Down Chart, and the Feather Pull Down Chart! Its so hard to choose just one! I absolutely love the feather pull-down. Thank you so much for hosting this giveaway. I love the heart pull down but I also love the constellation prints! Actually, they are all so cool! Love them! Definitely the science pull down chart! Liked curious prints on Facebook! The science ones are so fascinating. But I would still probably choose the poppy. I liked Curious Prints on Facebook! What a lovely site! I would pick the pheasant feathers! I like the poppies chart, fingers crossed. Also like them on FB!